Live from New York! 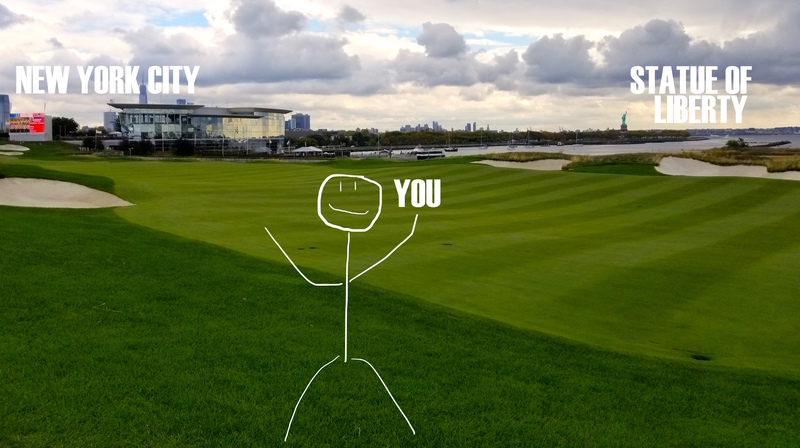 Well, technically it’s Jersey City but when you step onto the grounds of Liberty National Golf Club with panoramic views of Manhattan that point becomes obsolete. The story of Liberty National transitioning from trash to treasure is well documented and still boggles my mind that this little piece of heaven was once a dumping ground. If you’re fortunate to have tickets this weekend, here are some “must-know” tips to cover that could help you save time, money and energy. This event has brought out both ends of the spectrum of golf fans. You’ll find people dressed in costumes like the Statue of Liberty, to people dressed in the latest gear from Nike as if they were playing in the event. My advice, just you do you! Wear the most comfortable pair of shoes you own and layer up the clothing. Luckily, rain won’t play a part this weekend but the wind might. Despite temperatures looking to be seasonal for late September in New York keep in mind this course is not sheltered from the winds coming off the Hudson River. We saw more than a few fans (and players) that did not dress accordingly so unless you want to be buying merchandise just to keep warm, layer up! We can’t stress this point enough; If you’re able to take public transit, DO IT! This will save you time, money and aggravation. Bonus, if you’ve ever wanted to take a tour of Manhattan by boat but don’t want to pony up the tourist prices, here’s your chance. The General Spectator Ferry goes from Manhattan to “Port Liberte” leaving you a short walk to the Main Entrance. While others are fighting traffic, you’re fighting back the urge to blow up your phone’s storage on New York Skyline Selfies. 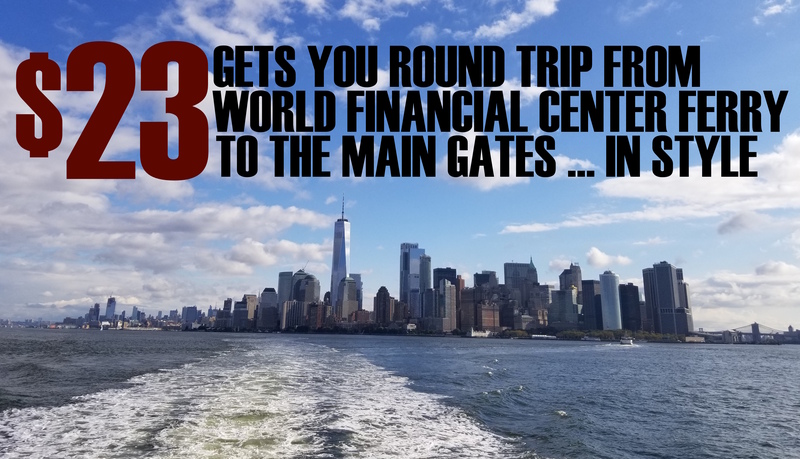 The boat leaves and returns to two locations, World Financial Center Ferry Terminal & Pier 79 at W. 39th Street in Midtown. Do everything you can to take the boat from WTC as the Midtown ferry seamed to show up less often. This will cost you only $23 for a return ticket and can be purchased at the terminal or online (see NY Waterways or Presidents Cup site). The first ferry began running about a half hour before gates opening. For NJ Transit, get to the Hoboken terminal and walk to Newport Mall. There will be a shuttle from the General Parking area in the Mall Garage to the Main Entrance at Liberty National Golf Club. It won’t be as fun as the boat but it beats driving. The path also gets you to Liberty National by getting yourself to the Newport stop and heading over to the Mall. If you come by Taxi or Uber you need to head to the Liberty Science Center where shuttle service will be provided to and from the Main gate. They don’t let Taxis and Uber cars drop people off around the course so use this address or the mall address above. If you choose to drive, I’ll give you the parking area address only as I don’t advice driving so can’t provide any insight. 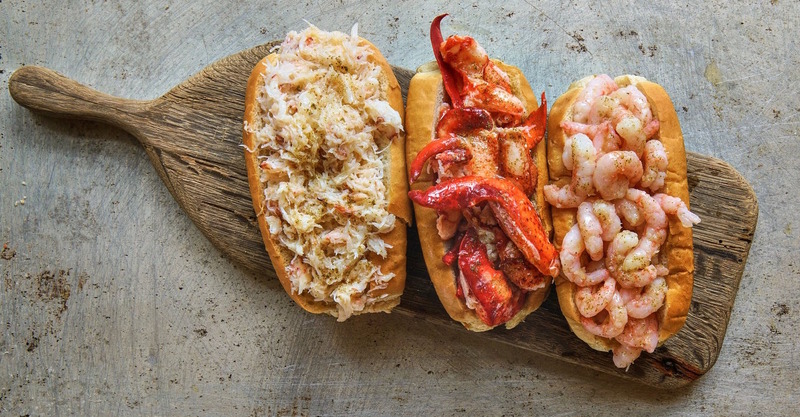 Parking is located at 49 Mall Drive West, Jersey City, NJ 07310 with a shuttle to the main gates. CAN I TAKE MY PHONE? CAN I TAKE PICS? 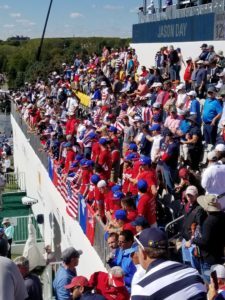 As per the website, spectators are allowed to take pics throughout the golf course, except in areas of competition during official rounds or when requested by players, security, or TOUR officials to refrain from taking a photo. There will be designated “Cell Phone Zones” in case you really need to call the boss and tell him your sick. Data use is not permitted when players are in position to compete. WHERE CAN I TAKE A WICKED SELFIE? The best place to take a wicked selfie is on the 14th fairway about half way between the tee and the green. This allows the capture of the course, the clubhouse, the Statue of Liberty, The Hudson River, The Manhattan skyline and I guess you as well. 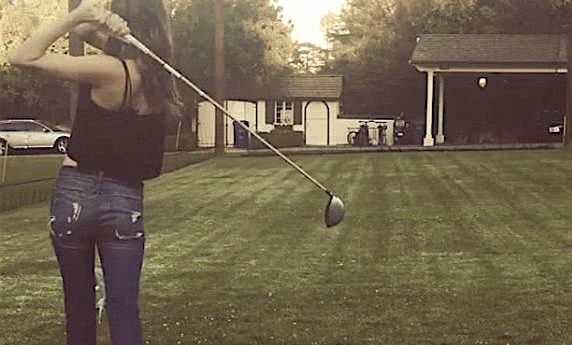 You’ve seen American hosted Ryder and President’s Cups on TV, you know how insane the first tee can get. The cheers and chants are legendary and echo through the venue. If this is your thing, and one of the most important parts of the event, you best get there early and prepare to push your way in. It is first come first serve and people line up early just to be a part of the action. 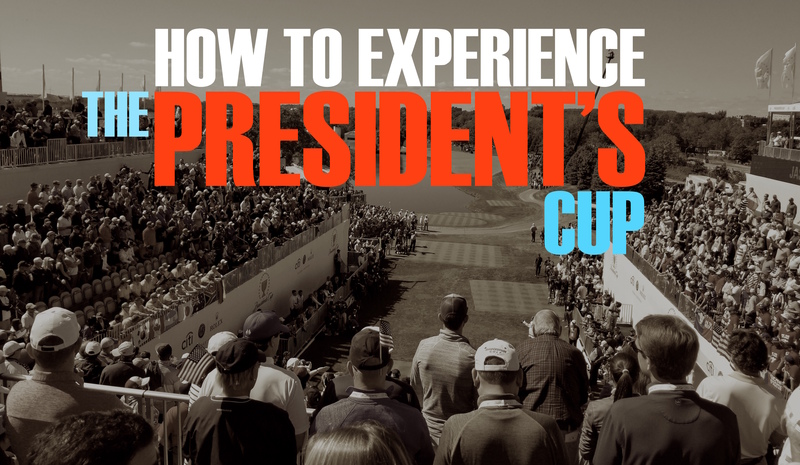 If you get there and the line is around the block head down to the landing area on the 1st fairway where you will still witness the crowd but be in position for the approach shots. There are some key places that we will outline in tonight’s Facebook Live. Below are 5 key points where the action is greatest. 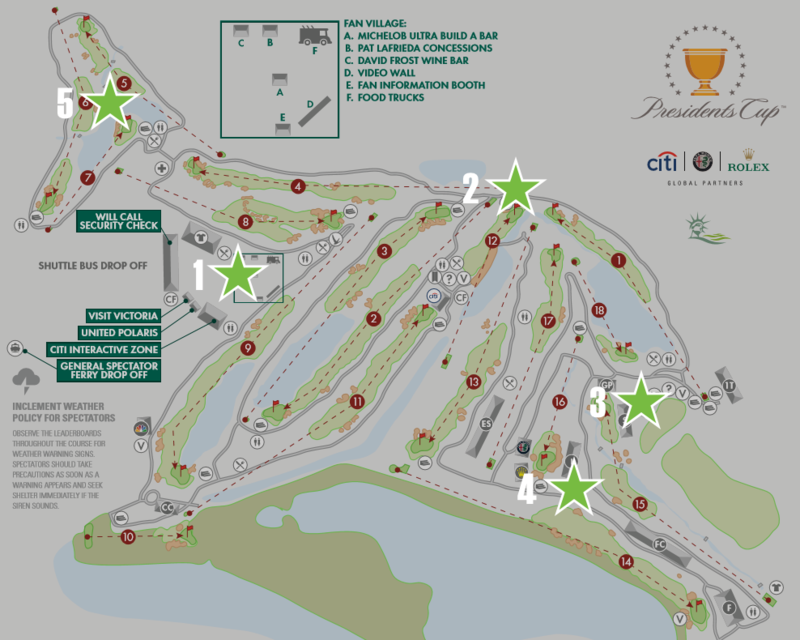 There are concessions all over the course (see map) but between holes 11 & 12, you will find the Michelob Ultra Club. 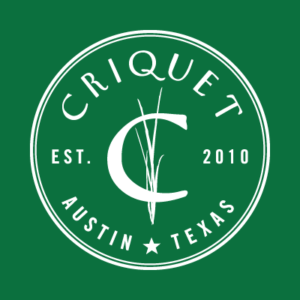 This area is an open to the public pouring Michelob ULTRA with patio seating, upgraded restroom trailers, free Wi-Fi and a video wall to watch live play. 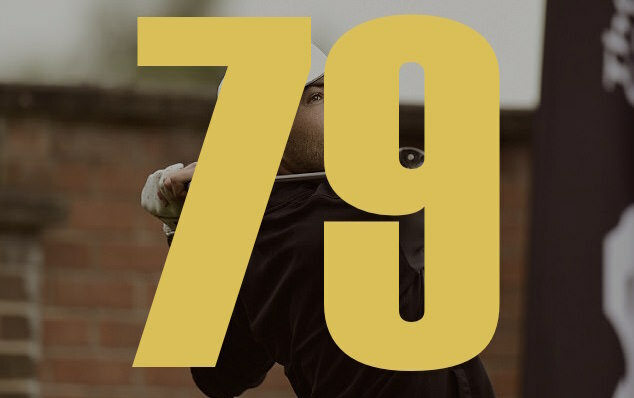 Located on the 8th Hole, is the Grey Goose 19th Hole. A climate-controlled venue offering three glass walls for exceptional views and an outdoor patio to overlook the 8th Hole. There is a bottle neck between the 9th green, the 10th hole and the 11th tee. Despite the 10th being a beautiful seaside hole, the traffic tends to get stuck especially in more popular groups. Watch for the ropes to come up early at the 17th green where you can get stuck until the group tees off on 18. Best to avoid this area unless the matches depend on it. Do you have a Citi Card? If so, be prepared to get treated like a King. Not only do you get a fast line at most spots, at one point they were giving out portable phone chargers to CITI customers. Shortly after arriving at the main entrance by boat or shuttle you will be subjected to a full metal detector screening. It’s best to familiarize yourself with what you can and can not bring with you inside the gates. • All portable chairs must be removed from the course each night. Most people wander around the Merch tent and buy things they will never use for people who didn’t attend the event. My advice, buy one special item that you know you will get use of. If you have 1000 hats, don’t buy one just for the sake of having one for the collection of other hats you don’t wear. There are two shops. The largest one is located at the Fan Village includes over 22,000 square feet of Official Tournament Merchandise. The Express Location is at the 15th Tee but it’s not as good. Stick to the main shop and grab something you’ll actually use. The grounds close straight after the event and shuttles don’t stay running just because you don’t want to leave. Prepare to get to the boat/shuttle/taxi directly after the final putt of the day before you’re left in Jersey City to fend for yourselves. Finish up that last beer, pick up the hat I told you not to buy and head to the boat.